A woman has allegedly committed suicide at the Noida sector 16 metro station after jumping in front of the oncoming train, here in Noida in UP earlier today. As per eyewitness, passengers were asked to evacuate the station immediately and were accompanied by the Central Industrial Security Force (CISF). The deceased girl has been identified as Sheetal Srivastava, a resident of Noida Sector 22. “We could see a body covered in a white sheet as security personnel asked us to deboard the train at Sector 16,” an eyewitness told media. Delay in services between Noida Electronic City and Dwarka Sector 21 due to person on track. The cause of the suicide is still to be ascertained and the body has been sent to the post-mortem. The incident took place at around 11am. Although, it’s not the first time that such incident has happened in the Delhi Metro. 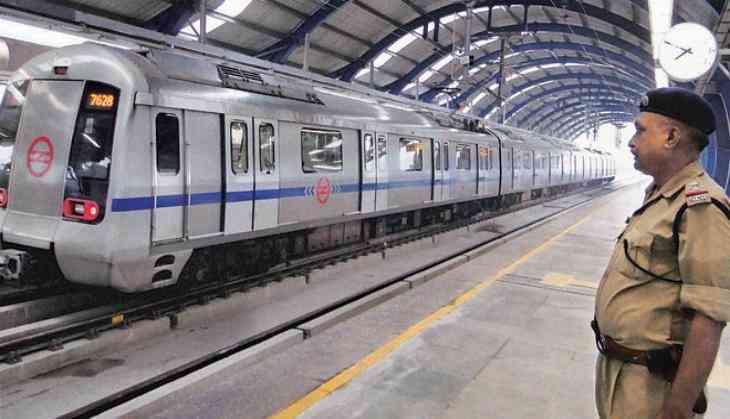 Earlier, a man had jumped on the tracks of metro at the GTB Nagar metro station which falls on the yellow line. Recently, a woman jumped on the tracks to catch a Rs 2,000 rupee note, although she was safe and left unhurt.